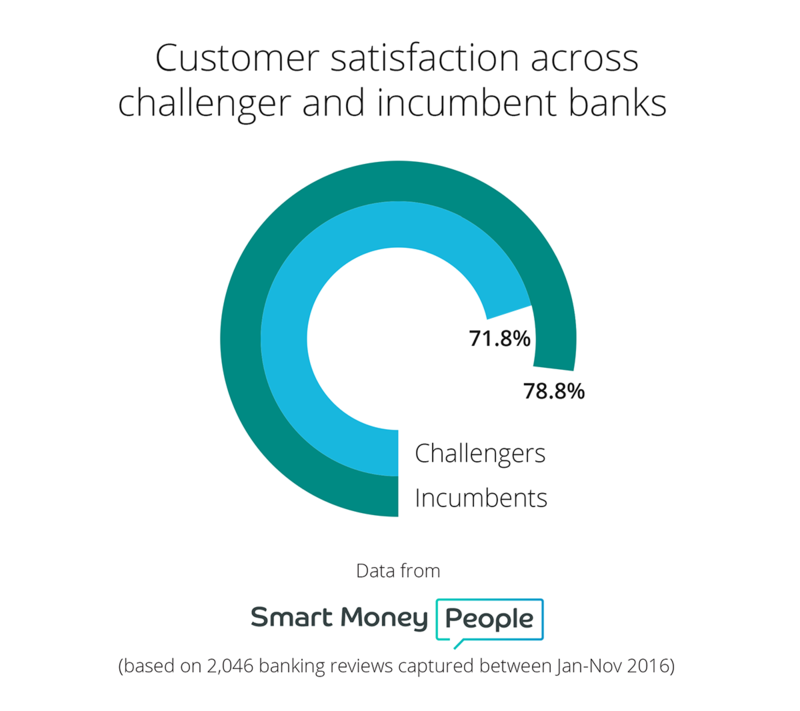 In 2016 customer satisfaction across new challenger banks (launched 2010-2016) lagged incumbents. But with a number of challenger banks in the final stages of launching their current account propositions, 2017 will be the year UK consumers really start to feel the force of these new banks. Look out for Atom Bank, Tandem Bank and Starling Bank to really heat things up. On the business banking front, look out for CivilisedBank. How aggressive will these banks need to be to acquire customers…and will these customers stick around after the initial download? 2017 will be the year that we find out. 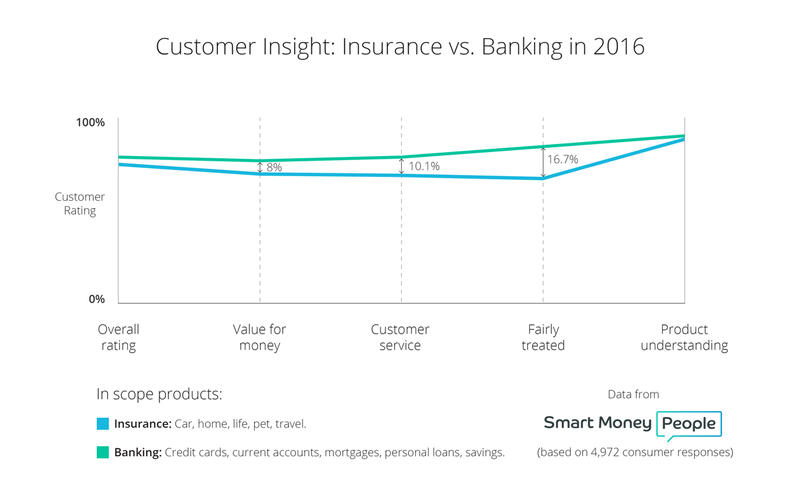 On the surface, the overall customer rating for insurance lags banking by just a percentage point or two. But once we look at ratings for customer service or fairly treated, the lag jumps into double digits. When looking at whether consumers feel fairly treated, we focus on consumer outcomes 3 and 5 which form part of the FCA’s definition for the fair treatment of customers. According to the FCA’s website: “All firms must be able to show consistently that fair treatment of customers is at the heart of their business model.” Our data suggests that looking a little closer at the car insurance market in particular would be helpful in 2017. New rules for complaints handling came into force in July 2016 (PS 15/19). Covering the reporting of both formal and informal complaints, the new requirements will also make trend analysis around complaints a hot topic. We also know that the way customers share complaints doesn’t always follow a prescribed process. 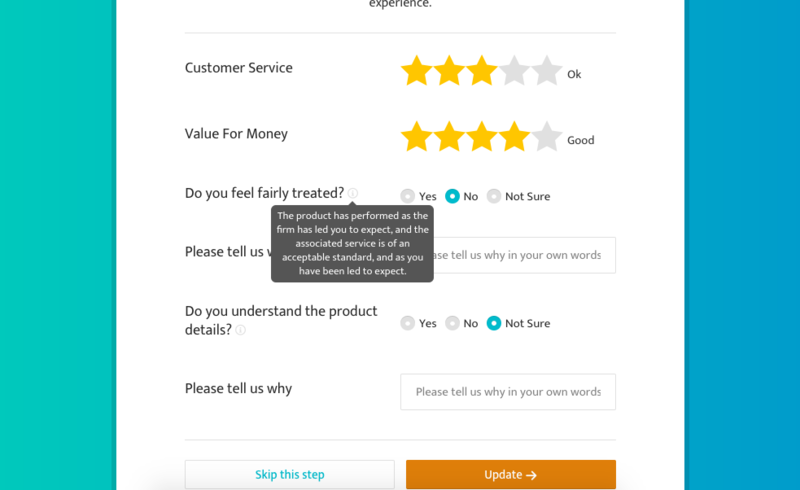 Will a 1 star review left on Smart Money People soon be treated like a complaint? 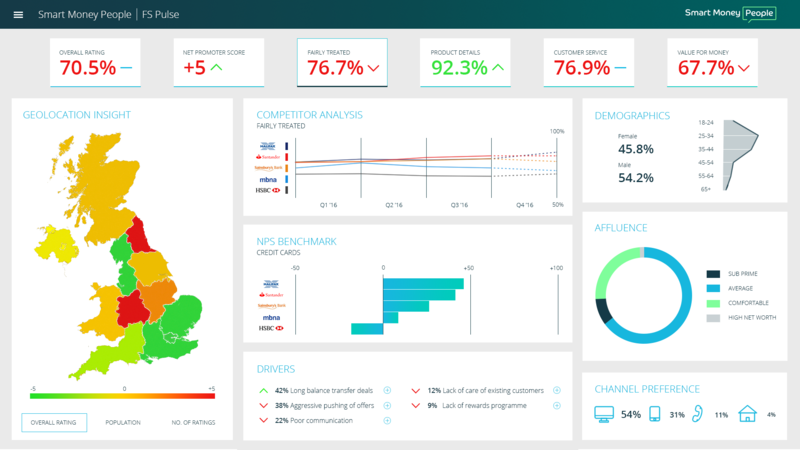 We’ve spent much of 2016 gearing up for the launch of our customer insight dashboard – presenting our uniquely rich customer insight and demographic profiles to financial firms to help reduce complaints, provide on demand product and firm-level benchmarking, and to help build better financial products. Work in complaints? Check out our Complaints Summit, happening September 2017 in London. If data is the new oil, then consumers will start to better appreciate that their data is valuable: valuable for firms, as well as scammers. Financial firms, and particularly newer FinTech firms, will need to be clear on how they use, profit from, and secure personal data. If not, the trust deficit will become much wider, and confidence in FinTech firms will be significantly dented. 5. Bank branches: What’s next? We ask our reviewers the following question: ‘What’s your favourite way of contacting your bank?’ Just 10% opt for branch. It’s therefore not much surprise that a reported 600 branches closed between April 2015 and April 2016. And yes, there will be more branch closures to come. But at what point do branch closures bolster footfall at the branches that remain open? Could these closures lead to building societies in particular redefining the value they bring to the communities in which they operate? There are certainly opportunities out there! We should also be on the look out for increasingly creative uses of branches.